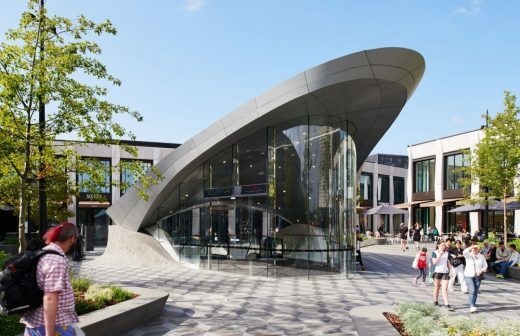 Victoria Gate in Leeds has scooped the Retail Project of the Year at the World Architecture Festival in Berlin (WAF). ACME has completed a staircase prototype combining modern methods of construction with an adaptive design approach, created to work with a minimum of intervention within any building. 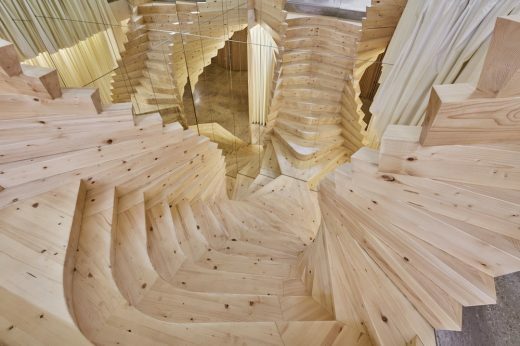 The massive timber stair was designed in 48 weeks, manufactured in four weeks and constructed in just five days, and has been installed in the architects’ own office, leading from the ground to the first floor. 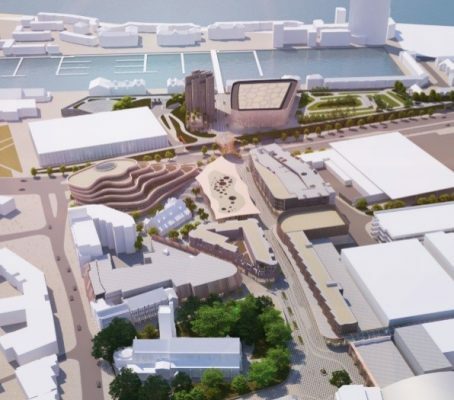 Swansea Central has achieved outline planning approval to create a major new leisure, retail and residential quarter in the centre of Wales’ second city. The project is located on the site of the former St David’s shopping centre and the city’s LC car park. ACME was appointed to design a new town square, a sculptural entrance to the mall (the Shard), a library and civic centre, the David Jones department store, and a Multi-story carpark. The new centre adopts the classical idea of the town square or piazza and rethinks it within a suburban context. An inward-look¬ing 1960’s masterplan has been inverted, creating a series of public spaces to give the entire area an exterior and civic focus. 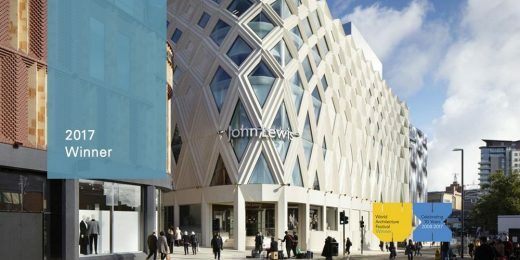 A planning application has been submitted for Victoria Gate and the John Lewis Store in Leeds. ACME has designed the three buildings comprising the first phase of Victoria Gate retail development. The cente of the scheme is a flagship John Lewis store, with a terracotta facade inspired by Leeds’ textile heritage. The Victoria Gate arcade will link Victoria Quarter to the John Lewis store with stores, restaurants, cafes and leisure space. The proposed Seoul Museum of Art aims to supplement the limited exhibition and storage space existing in Seoul. Apart from providing much needed additional exhibition and art space, the proposed building aims to redress the balance of cultural institutions in the city, the new museum will be located in the North-East of Seoul which is currently lacking any major cultural buildings. This architecture office is based in the British capital. ACME was established in 2007 in London. The practice operates in the fields of contemporary architecture, urban planning, interior and product design; working with private, corporate and public clients. On an urban scale, the office has worked on a 21 hectare masterplan for Bishopsgate Goodsyard/ London, a 35 hectare masterplan for Smithfield/ Birmingham, development plan for the city centre of Kingston upon Thames and a retail and education quarter in Swansea including university campus buildings, student housing units, retail including a large supermarket and an underground car park. On an architectural scale, ACME has worked on a landmark retail building and a 1.500 m² roof canopy for a public square in Sheffield and proposals for a public bath along the Thames in West London. ACME has won a number of invited architectural competitions, including a 27.500 m² John Lewis department store in Leeds and a small pavilion in Castle Park Bristol containing a restaurant, cycle shop and offices and has completed proposals for the redesign of a 26.000 m² Kaufhof department store in Duisburg. Residential projects under construction or in design development include projects in Swansea and large single family residencies in Norfolk and Hampton. The practice was selected in June 2008 by the London Development Agency as one of 26 companies for the Architecture, Landscape and Urban Design Framework Panel. A brief compendium of the work of ACME in its first year, entitled SPACE-Issue 1 (ISBN: 978-0-9560955-0-3) is available from ACME Paper (paper@acme.ac) and selected bookstores. November 4, 2017 in Architects.